С радостью сообщаю вам об очередных конкурсах осеннего тура, которые открылись на уже известном нам с вами сайте "Познание и творчество"! 1) "Эрудит" для 3-4-х классов Срок оплаты и сдачи работ до 25 октября 2013г.! Стоимость конкурса - 380 руб. Главный приз - 1 000 руб.! 2) "Эрудит" для 7-8 классов Срок оплаты и сдачи работ до 15 ноября 2013г.! Стоимость конкурса - 490 руб. Главный приз - 3 000 руб.! 3) "English for winners" для 7-9 классов Срок оплаты и сдачи работ до 20 ноября 2013г.! Стоимость конкурса - 1 100 руб. Главный приз - 10 000 руб.! 4) "Знатоки английского языка" для 9-11 классов Срок оплаты и сдачи работ до 15 ноября 2013г.! Стоимость конкурса - 490 руб. Главный приз - 1 000 руб.! 5) "Мир английского языка" для 9-11 классов Срок оплаты и сдачи работ до 15 ноября 2013г.! Стоимость конкурса - 490 руб. Главный приз - 1 000 руб.! 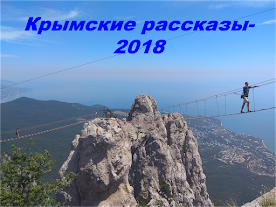 3) Ознакомиться с правилами оформления ваших работ вот здесь КРОМЕ конкурса "Знатоки английского языка" для 9-11 классов, т.к. в самом задании уже имеется лист ответов. Графы о школе, куда направлять и обо мне нужно заполнять так. Пожалуйста, укажите, чтобы ваши дипломы и сертификаты направлялись ко мне на адрес, мне так будет легче передать их вам, чтобы у нас с вами не возникло путаницы! МУНИЦИПАЛЬНОЕ БЮДЖЕТНОЕ ОБЩЕОБРАЗОВАТЕЛЬНОЕ УЧРЕЖДЕНИЕ "ГИМНАЗИЯ № 16"
учитель английского языка, МБОУ "Гимназия № 16"
5) Оплатить любым доступным для вас способом. Способы оплаты - здесь. Не забудьте принести мне подтверждения об оплате!!! 6) После того, как вы оплатите квитанцию и выполните все задания, вы должны будете в срок не позднее 15 октября (для 4 классов) и не позднее 5 ноября (для всех остальных классов, сразу после осенних каникул) принести мне ваши работы + оплаченные квитанции. Не забудьте, что я должна успеть зарегистрировать вас в системе, отсканировать и выслать ВСЕ ваши документы, а на это нужно немалое время, поэтому убедительно прошу не опаздывать! После указанных дат работы приниматься НЕ БУДУТ. Cervantes was born in Alcala de Henares, a town 20 miles from Madrid, on September 29, 1547. He was named Miguel for Saint Michael, whose patron day is September 29. Being the son of a barber-surgeon, he traveled around a lot, moving wherever his father's services were needed. His family was large; he was only the fourth son out of what was to become seven children in total. Not much is known about his educational background. It is supposed that he studied under the Jesuits as a child and in his late teens and very early twenties, under the tutelage of the principal of a municipal school in Madrid named Juan Lopez de Hoyos. Unlike most writers of his time, he apparently did not go to university. The Elevation of the Cross commemorates both St. Helen's discovery of Christ's Cross in the fourth century, and its recovery from the Persians by Emperor Heraclius in the seventh century (at which time it was "elevated" in the Church of the Resurrection in Jerusalem). From this victory celebration on, the "universal elevation" of the Cross was celebrated annually in all of the Churches of the Christian Empire. The day of the feast became the national holiday of the Eastern Christian Empire, and on that day it was "elevated" by the priests and bishops. The Cross served as the official emblem of the Empire, and was displayed on all building and uniforms. The Troparion of the feast was sung on all public occasions, as a "national anthem" of sorts, and originally petitioned God to save the people, grant victory in war, and preserve the Empire "by virtue of the Cross". 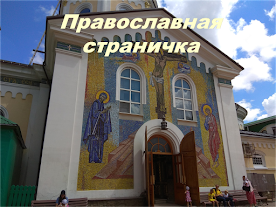 Today that Troparion, and all the hymns of the feast, are spiritualized: the adversaries are the spiritually wicked and sinful, including Satan and his armies, and the "Orthodox Christians" replace the ruling officials of the Empire. This holy day, although is obviously has a political origin, remains with us as a day of prayer and fasting: the Cross is held up as the only symbol worthy of our total allegiance. William Faulkner (1897 - 1962) stands as one of the most preeminent American writers of the twentieth century. Faulkner especially embodied the Southern sensibility. Faulkner’s literature had significant influence on both popular and Modernist literature. His literary reputation included poetry, novels, short stories and screenplays. Faulkner won two Pulitzer Prizes for Fiction and the Nobel Prize in Literature. Francis Scott Key Fitzgerald was born on September 24, 1896, in St. Paul, Minnesota. His namesake (and second cousin three times removed on his father's side) was Francis Scott Key, who wrote the lyrics to the "Star-Spangled Banner." Fitzgerald's mother, Mary McQuillan, was from an Irish-Catholic family that had made a small fortune in Minnesota as wholesale grocers. His father, Edward Fitzgerald, had opened a wicker furniture business in St. Paul, and, when it failed, he took a job as a salesman for Procter & Gamble that took his family back and forth between Buffalo and Syracuse in upstate New York during the first decade of Fitzgerald's life. However, Edward Fitzgerald lost his job with Procter & Gamble in 1908, when F. Scott Fitzgerald was 12, and the family moved back to St. Paul to live off of his mother's inheritance. Дорогие ребята (особенно 9-е классы)! Отсюда вы можете скачать темы для исследовательских работ для выступления на школьной НПК (научно-практической конференции) в январе-феврале 2014г. Прошу вас определиться до 24 сентября и подойти ко мне. Если эти темы не нравятся, то придумайте свою! Мне всегда интересны свежие и интересные идеи! 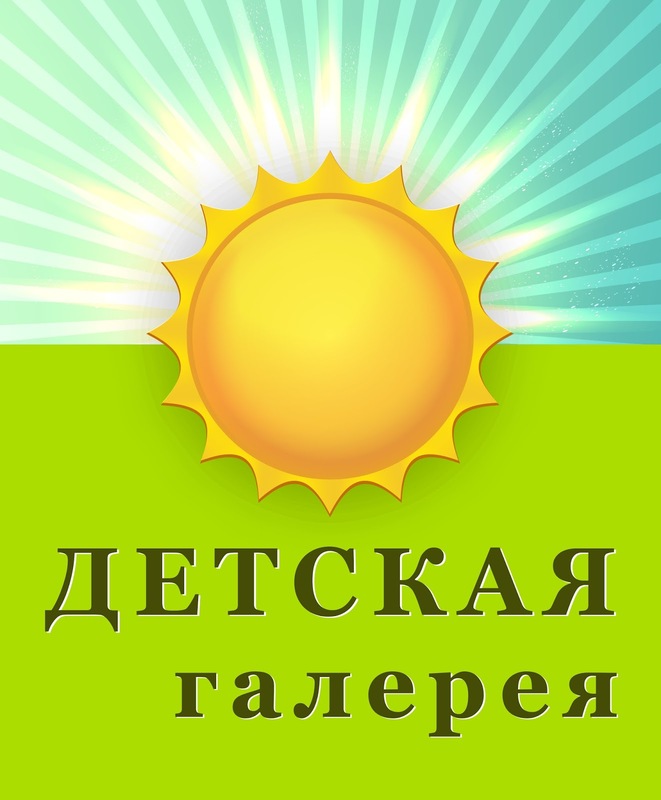 Жду с нетерпением!!! 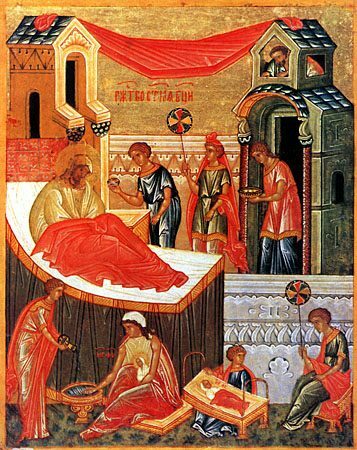 The Feast of the Nativity of Our Most Holy Lady, the Theotokos and Ever-Virgin Mary is celebrated on September 21 each year. 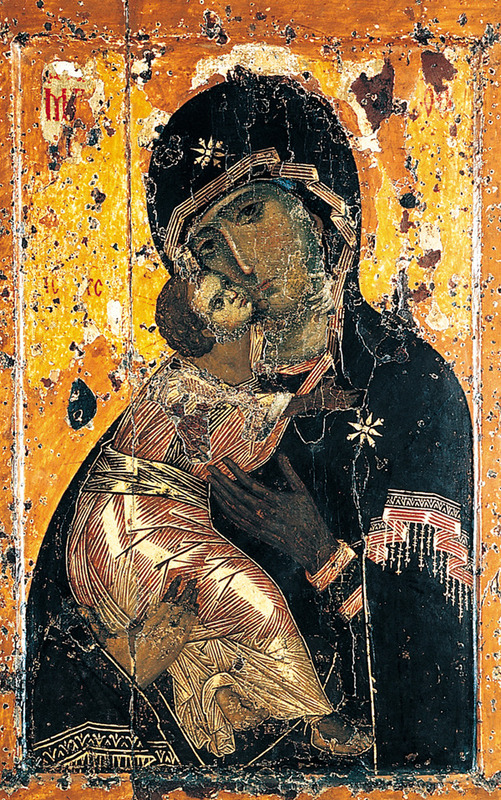 The Feast commemorates the birth of the Mother of Jesus Christ, our Lord. According to the story found in this book, Mary's parents, Joachim and Anna, were childless for many years. They remained faithful to God, but their prayers for a child were unanswered. One day, when Joachim came to the temple to make an offering, he was turned away by the High Priest who chastised him for his lack of children. To hide his shame, Joachim retreated to the hill country to live among the shepherds and their flocks. As Joachim was praying, his wife Anna was praying at the same time at their house in Jerusalem. An angel appeared to both of them and announced that Anna would have a child whose name would be known throughout the world. Anna promised to offer her child as a gift to the Lord. Joachim returned home, and in due time Anna bore a daughter, Mary. 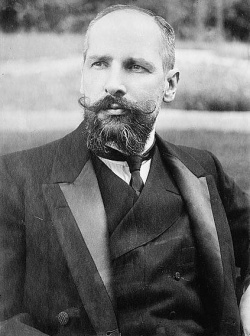 Throughout the history of modern Russia, Pyotr Stolypin has remained a controversial figure. He is famous chiefly for his agricultural reforms and the draconian methods he used to deal with his opponents. However, during his time in office both as Minister of the Interior and Prime Minister, he was the author of many progressive policies in finance, military and education. In difficult times of social and political change, he walked a thin line between what he believed to be for the good of the country and the social welfare of its people. Some consider him to be the demon of Imperial Russia, others – the driving force of history. The Mayflower sails from Plymouth, England, bound for the New World with 102 passengers. The ship was headed for Virginia, where the colonists - half religious dissenters and half entrepreneurs - had been authorized to settle by the British crown. However, stormy weather and navigational errors forced the Mayflower off course, and on November 21 the "Pilgrims" reached Massachusetts, where they founded the first permanent European settlement in New England in late December. 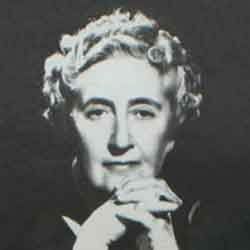 Often billed as 'The Queen of Crime' Agatha Christie was one of the most creative writers of the 20th-century. She was born in Torquay on 15 September 1890, the daughter of Frederick and Clarissa Miller, she was christened Agatha Mary Clarissa. Like many children of the times, her early education took place at home and at the age of 16 she was sent to a school in Paris to complete her education. Amongst other subjects, she studied singing and the piano. She had always enjoyed writing, from an early age her mother had encouraged her in the use of her extraordinary vivid imagination. At the age of 24, Agatha married Archibald Christie, an aviator in the Royal Flying Corps. Five years later in 1919, a daughter Rosalind was born and nine years later, in 1928 the couple were divorced. By this time Agatha had become a prolific writer of murder, mystery and suspense. Her first novel 'The Mysterious Affair at Styles' was published in 1920. Наткнулась на такой ролик: смотреть. Выложить его здесь не могу, т.к. пользователь запрещает. Что думаете, мои дорогие ученики, уважаемые учителя? Among the outstanding figures of Ancient Rus, one that doesn't fade from the Russian people's memory is Alexander Nevsky, for even today he is honoured as a prominent statesman, talanted military commander and great patriot. As if in compensation for his short life - the Prince died at the age of forty-three at the hight of his power - fate early bestowed upon him maturity and responsibility. 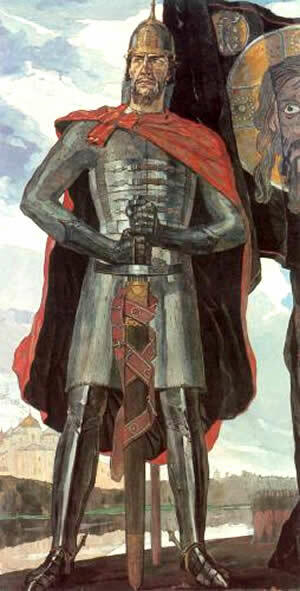 Alexander Nevsky was born on May 30 (June 12 - new style), 1220, in Pereslavl-Zalessky, a town in Northeastern Russia which is 124 kilometers from Moscow, on the shore of Lake Pleshcheyevo. 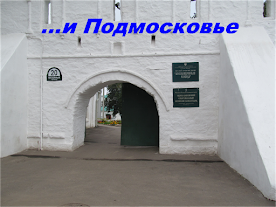 His father was Prince of Pereslavl-Zalessky, Yaroslav Vsevolodovitch, a son of Prince Vsevolod Big Nest (called so for his large family and, more than likely, for the enormity of the territory he ruled), a grandson of Prince Yuri Dolgoruky (the famous founder of Moscow), a great-grandson of Prince Vladimir Monomakh. His mother was Princesss Feodosiya Igorevna, a daughter of Prince of Ryasan, Igor Glebovitch. Alexander was the second son in the family of Prince Yaroslav Vsevolodovitch. The preaching of John the Baptist was of short duration. 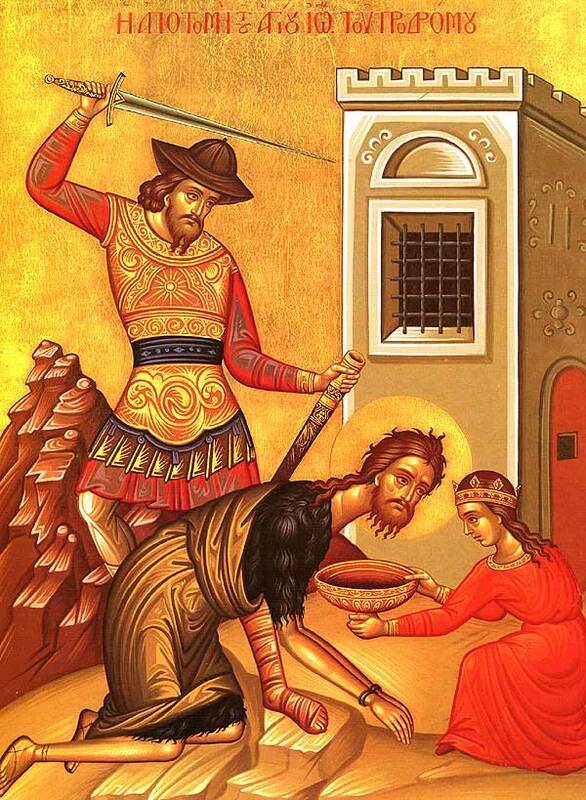 Having prepared people to receive the Saviour, he ended his life with a martyr’s death. Soon after the baptism of the Lord, John was put in prison by the Galilean King Herod. This Galilean King, Herod Antipas, was the son of Herod the Great, who slaughtered the fourteen thousand Bethlehem infants. John upbraided King Herod because he had married his brother Philip’s wife, Herodias, even though his brother was still alive. Herodias became embittered against for this and wanted Herod to kill him. But Herod would not agree to this because he considered John to be a great prophet and feared the people. However, to appease her, he put John in prison. Herodias was not satisfied with this, especially as Herod himself listened with pleasure to the admonitions of John and often acted on his words. World Suicide Prevention Day is observed on September 10 each year to promote worldwide action to prevent suicides. Various events and activities are held during this occasion to raise awareness that suicide is a major preventable cause of premature death. Many families in the United States observe National Grandparents Day on the first Sunday of September after Labor Day. This day honors grandparents. Forget-me-not flowers not only beautiful but they also symbolize National Grandparents Day in the United States. Many people honor their grandparents through a range of activities such as gift-giving, card-giving, and for children to invite their grandparents to school for a day where they participate in special lessons or special assembly programs. 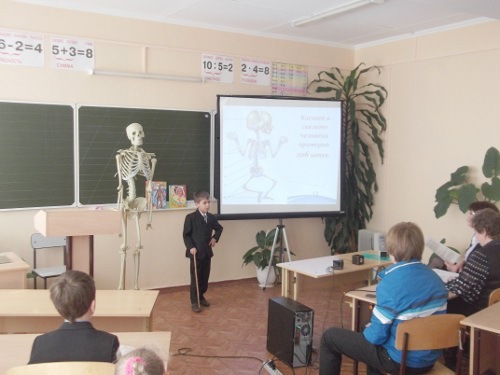 Many school students take part in story-telling activities that relate to their grandparents, as well as art or poster competitions where children often use a story about their grandparents in their artwork. About four million greeting cards are sent within the United States each year on National Grandparents Day. This day is also an opportunity for people to appreciate and express their love to their grandparents through kind actions such as making a phone call or inviting their grandparents for dinner. People living in retirement villages or nursing homes may receive a visit from their grandchildren or loved ones on this day. Жил один мудрец. Люди со всей округи и даже из других городов приходили к нему за советом. И ни один из них не уходил безутешным. Слава о его мудрости разнеслась по всей стране. — Дай-ка я над ним посмеюсь! Once upon a time there lived a wise man. People from all over the neighbourhood and even from other towns visited him to have an advice. And nobody left him being inconsolable. The glory about his wisdom spread all over the country. "I'm going to laugh at him!" "I'll ask him what kind of butterfly I have in my hands - dead or alive. If he says "alive" i'll clench my fist. If he says "dead" i'll let it out". "You can predict everyting. Could you tell me what kind of butterfly I brought - dead or alive?" "Everything is in your hands". Дорогие ребята 7 Б! Не забывайте, что у вас есть свой сайт - сайт класса. Поэтому смотрите всю информацию на страничке "Объявления". Там я разместила ваше расписание с 4 по 6 сентября. 7 сентября (суббота) мы не учимся. 5 сентября (четверг) мы фотографируемся на 2 уроке, но не в течение всего урока. Я за вами зайду, когда это будет нужно. Просьба: прийти в этот день особенно красивыми, ведь это наша классная фотография. Удачи вам! Labor Day is annually held on the first Monday of September. It was originally organized to celebrate various labor associations' strengths of and contributions to the United States economy. It is largely a day of rest in modern times. Many people mark Labor Day as the end of the summer season and a last chance to make trips or hold outdoor events. J.R.R. Tolkien was born in 1892, Bloomfontein, South Africa. After three years in South Africa, he returned to England with his Mother Mabel; unfortunately his father died one year later, leaving him with little memory of his father. His early childhood was, by all accounts, a happy one; he was brought up in the Warwickshire countryside (many regard this idealised upbringing as the basis for the Shire in Lord of the Rings). Oxford. This was partly due to falling in love with his childhood sweatheart Edith. On finding out of this romance, his guardian, Father Francis Morgan, prohibited John from seeing Edith until he was 21 and no longer under his care. Father Morgen, made John promise not to see Edith, and John reluctantly agreed to his request. John faithfully waited until his 21st birthday, and on this date he renewed his contact with Edith, and successfully persuaded her to marry him. It is a testament to his belief in faithfulness and honesty, that he was willing to wait several years to meet his wife; such sentiments of nobility appear frequently in his writings; for example, the magnificent love story of Beren and Luthien. 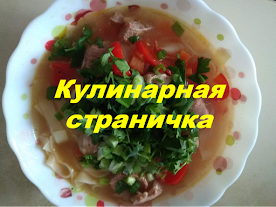 Дорогие ребята, уважаемые родители и мои дорогие коллеги! Поздравляю вас с началом нового учебного года! Пусть он принесет вам только успехи и радости. Желаю, чтобы в этом учебном году сбылись все ваши надежды. Дерзайте без всякого страха на добрые дела! Удачи вам!